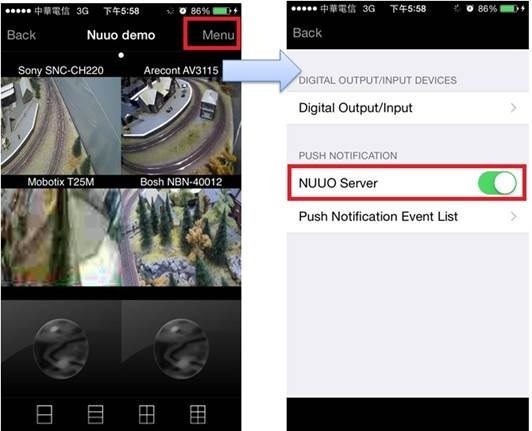 User has already set up the event action to send push notifications to a smart phone (iViewer app), but cannot receive notifications when NUUO NVR/VMS is triggered. Kindly follow the below steps to set your smart phone to receive push notifications from NUUO NVR/VMS. Make sure your iViewer app has connected to our NUUO NVR/VMS at least once. 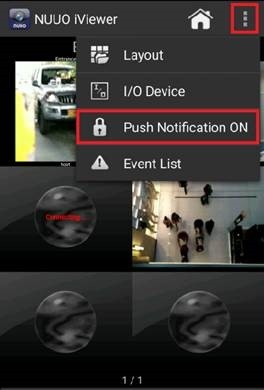 Enable "Push Notification" in iViewer. 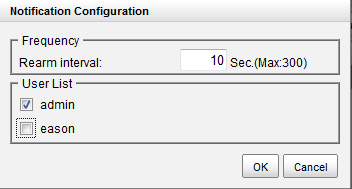 Event trigger settings must be correct in NUUO NVR/VMS. For example, when the NUUO NVR/VMS catches a motion event, it will send a push notification action. You can check the logs to verify if motion events are being set or not. Make sure that NUUO NVR/VMS can connect to the internet. The Push Notification function does not work in the local LAN. Beacuse NUUO NVR/VMS sends the push notifications to our ezNUUO server first and then sends them to Apple APNS (Apple Push Notification service) or Android GCM (Google Cloud Message Service). 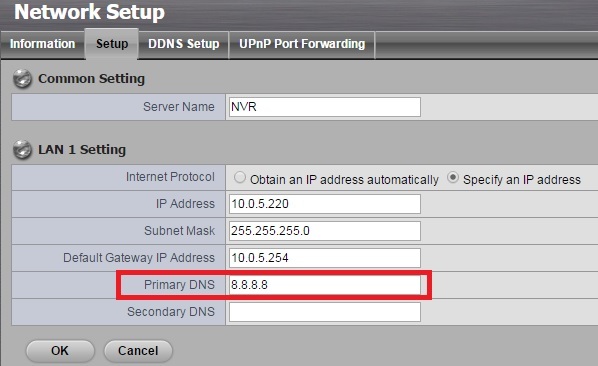 Make sure you have input Primary DNS correctly and our NUUO NVR/VMS can connect to this Primary DNS.